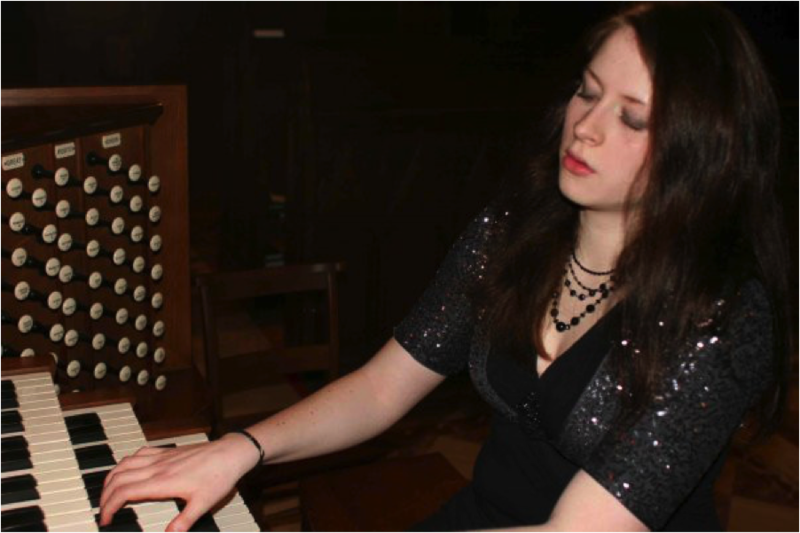 Hailed as a rising star, Amanda Mole is quickly earning a reputation as one of the leading concert organists of her generation. Her performances have been described as “elegant, lucid” (The American Organist), and having an “excellent balance of technical accuracy, rhythm, and structure” (The Diapason). Amanda is the first-prize winner of the 8th International Musashino-Tokyo Organ Competition (2017), one of the largest and most prestigious organ competitions in the world. She is the first-place and audience prize winner of the Miami International Organ Competition (2016), and the first-place winner of the Arthur Poister Organ Competition (2014), the John Rodland Memorial Organ Competition (2014), and the Peter B. Knock Award (2014). Since 2017, she has served as a juror for live and preliminary rounds for several organ competitions and, in 2016, Amanda was chosen as one of The Diapason magazine's Top 20 Under 30, a feature that selects some of the most successful young artists in the field. She is a grateful recipient of several merit-based scholarships including the M. Louise Miller, the American Baptist, the National Religious Music Week, and the Susan Glover Hitchcock Scholarships. Amanda has performed internationally at venues across the USA, Europe, and Japan. She was a featured performer at the 2015 New Haven Regional American Guild of Organists Convention and, in 2016, she joined the roster of concert artists at the Organ Historical Society Convention in Philadelphia and received unanimous glowing reviews in The American Organist, The Diapason, and The Tracker magazines, praising her fine technique, mature musicality and describing her as playing "with authority and flair." Amanda returned as a featured concert artist at the OHS National Convention in 2018. She has also been broadcast several times on the radio show Pipedreams LIVE! and has recorded a CD to be released in 2019 on Naxos. Current recording projects include a CD of music for trombone and organ with RPO trombonist Lisa Albrecht and the Hohenfels trombone quartet. Ms. Mole is from Holden, Massachusetts, and is pursuing a Doctor of Musical Arts degree as a student of David Higgs at the Eastman School of Music. In 2011, Amanda graduated from the Yale Institute of Sacred Music and the School of Music with a Master of Music degree in Organ Performance and Sacred Music. During her time at Yale, Amanda studied organ with Martin Jean and Choral Conducting with Maggie Brooks, and was the only candidate in her class to receive the Church Music Studies Certificate for additional sacred music and theological studies. Prior to Yale, she obtained a Bachelor of Music degree with honors at Eastman while studying with William Porter, and, prior to Eastman, she studied with Larry Schipull and Patricia Snyder. Amanda has also completed the requirements for a minor in Choral Conducting during her doctorate. She is the Director of Music at St. Michael’s Catholic Church in Rochester, NY, and at Immanuel Evangelical Lutheran Church in Webster, NY. Amanda is represented in North America by Karen McFarlane Artists, Inc.